Actual Experience's analytics provide the digital Voice of the Customer. This is a real-time, data-driven view of what end users would say about the quality of a company's digital products and services, and why. Its customers can analyse everything that impacts the experience quality in their digital supply chains, for any service, type of user or the Internet of Things. It gives them complete transparency from the point of provision to the point of use and whether inside or outside their business's control. The insights can be used to make continuous improvements to their business performance. 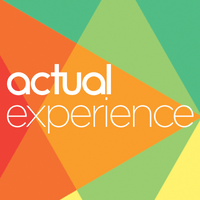 Actual Experience is a listed-company on the London Stock Exchange. Its development Headquarters are in Bath, UK, and we also have offices in London. Actual Experience's unique digital analytics as a service is founded on ten years of cutting-edge research at Queen Mary University of London.